This week on the European Tour we head over to Victoria Golf Club for the Portugal Masters which is a course I have played on a couple of occasions. field is a relatively strong one with many of the better European Tour regulars featuring. Former Portuguese Master winners Steve Webster, Alvaro Quiros, Richard Green, Tom Lewis, Shane Lowry and last years champion David Lynn are all teeing it up in Vilamoura this week as the European Tour season draws to a close. Many of the field will have an eye on their Race To Dubai standing as they must finish inside the top 65 after the final event of the season if they have aspirations of playing in the Race To Dubai where they will play for their share of $7.5million and a ten year European Tour exemption. Victoria Golf Club is a 7209 yard par 71 that features a lot of water on it’s back nine which can trouble the wayward drivers of the ball however length off the tee can be an advantage although it isn’t essential as last years winner David Lynn proved averaging just 268.7 yards with his driver. The greens here in Portugal are big and those players with decent putting stats have performed well in this event, including Shane Lowry who was ranked 1st in the field for putts per green in regulation in the year that he won the Portugal Masters. Finally i’ll be targeting those players that can shoot low scores and make a lot of birdies as this is a relatively easy course for the professionals, David Lynn shot 18 under last year on his way to winning the title, whilst Lee Westwood finished 23 under par in 2009 which shows that birdies are the key to success this week. 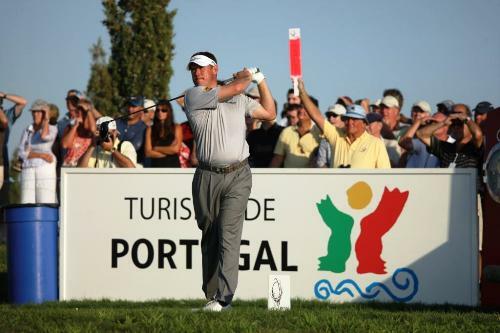 Shane Lowry is this weeks favourites after some solid recent form, the Irishman also won this event in 2012 and he has every chance of winning the Portugal Masters once again this week. The in form Englishman Tommy Fleetwood is the second favourite after recording two consecutive second place finishes, will it be third time lucky for Fleetwood in Portugal? Bernd Wiesberger is priced just behind Lowry and Fleetwood which is no surprise looking at his recent form, the Austrian has also finished 3rd and 4th in this event over the last two years. Peter Uihlein – After a very slow start to the season Peter has started to play some decent golf. At the start of the year he missed 10 out of 13 cuts but he has now made his last six. Uihlein has finished inside the top 30 in four of his last five events and shot a final round of 67 in last weeks Alfred Dunhill Links Championship, the American hit an impressive 84.7% of greens in regulation which suggests he is playing well he just needs to hole a few putts. A low score usually wins here in Portugal and some of Uihlein’s best results have come around easy tracks, last year Peter finished 2nd in the Alfred Dunhill Links Championship shooting 23 under par, he won the Madeira Island Open where he finished 15 under par and finally he finished 4th in the Tshwane Open where he shot 17 under par. The greens are big this week and putting is important, Uihlein is a good putter and is ranked 36th on the European Tour this season in terms of putts per green in regulation hit. Peter needs a good week before the end of the season if he is to finish in the top 65 in the Race To Dubai standings which must be a goal of his. Nicolas Colsaerts – I’m sure Nicolas would love to make an impact this week after he failed to make the European Ryder Cup team. The fact that he missed out on making a winning side will motivate him in my opinion, during the Ryder Cup he was regularly tweeting about the competition. He was recently quoted saying “Once you play in one Ryder Cup, you don’t want to miss another one.”. Nicolas has had a really disappointing season however he appears to have found some form recently making his last three cuts, he finished 13th in the Omega European Masters and 4th recently in Wales Open which suggests he is returning to form. Last year Colsaerts finished 15th in this event which suggests he can perform well around this track and low scores are required to win this week and Colsaerts is certainly capable of that. Nicolas’s only strokeplay victory to date came in the Volvo China Open when he shot 24 under. Marcel Siem – I was pleasantly surprised to see Marcel Siem priced at 50/1 to win this week. He’s one of the better players in this field and the German has three European Tour wins to his name. Last week Siem was priced at 150/1 if I remember correctly but this was largely due to the fact that he withdrew from the Omega European Masters towards the start of September. Last week he proved that there are no injury concerns and that he is playing well, Marcel finished in 11th position just five shots behind the winner Oliver Wilson. Siem’s form around Victoria golf course isn’t amazing in all honesty although he has made the cut here six times out of a possible seven, he did finish fourth in 2007 and 17th last year which does suggest he can perform well around this track. Driving distance is beneficial but not essential this week and Marcel has averaged 295.4 yards off the tee this season which relatively long. Finally decent putters have done well over the years in this event and Siem fits into that category, he’s ranked 32nd on the European Tour in terms of putts per green in regulation hit.